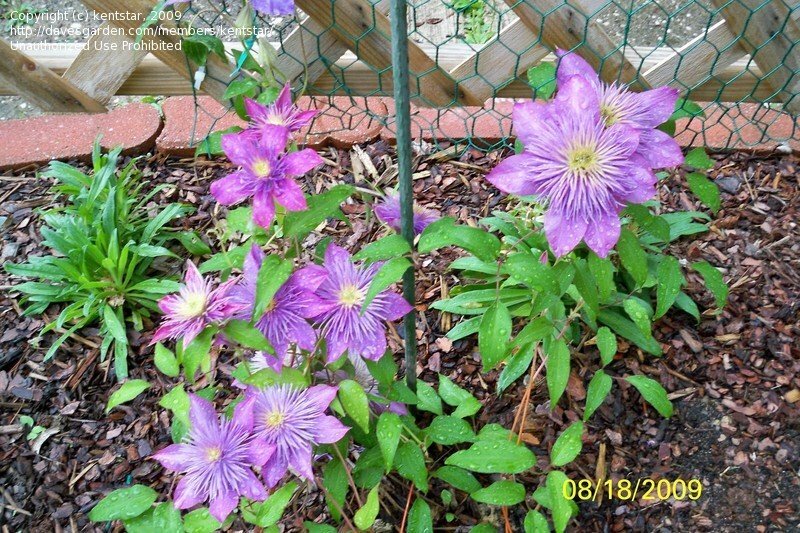 Only two blooms this Spring, but really beautiful. 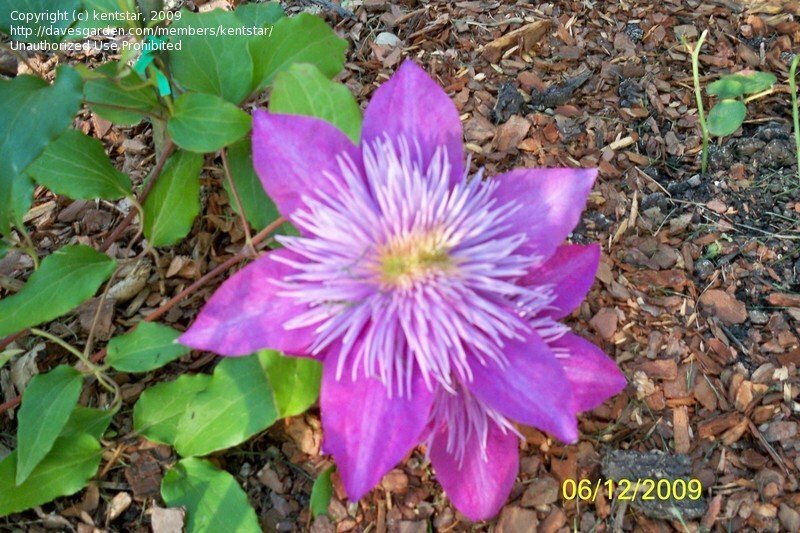 At least 5" across. 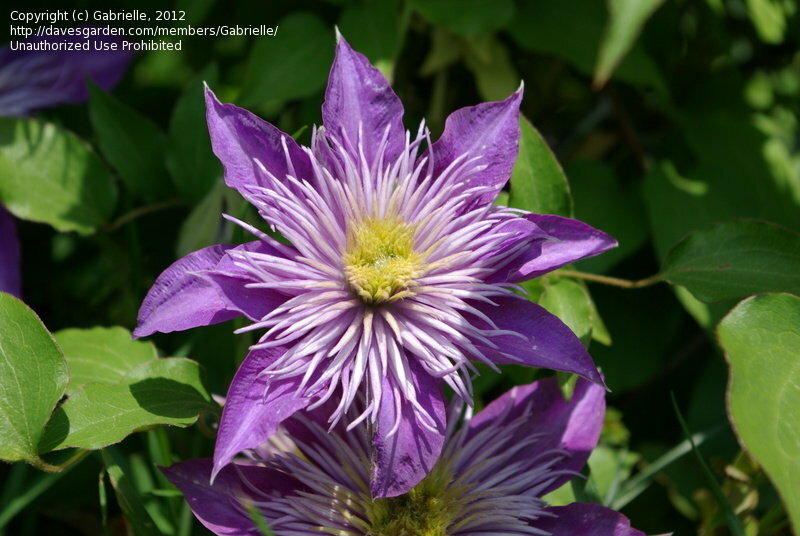 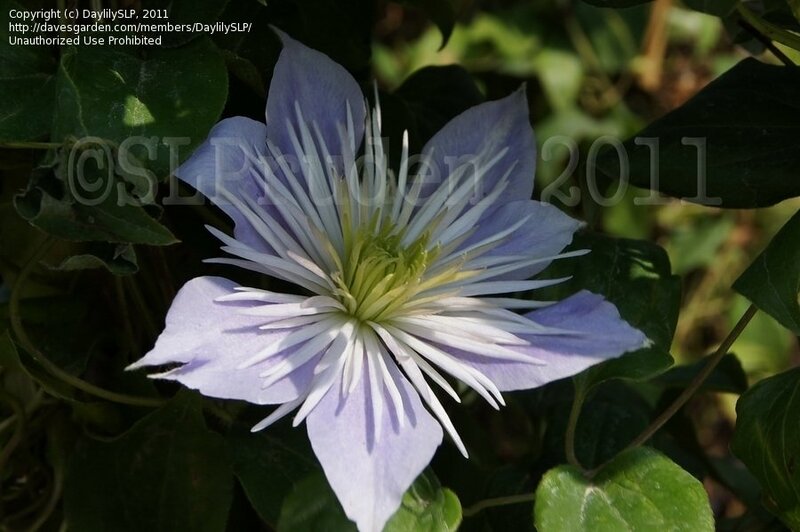 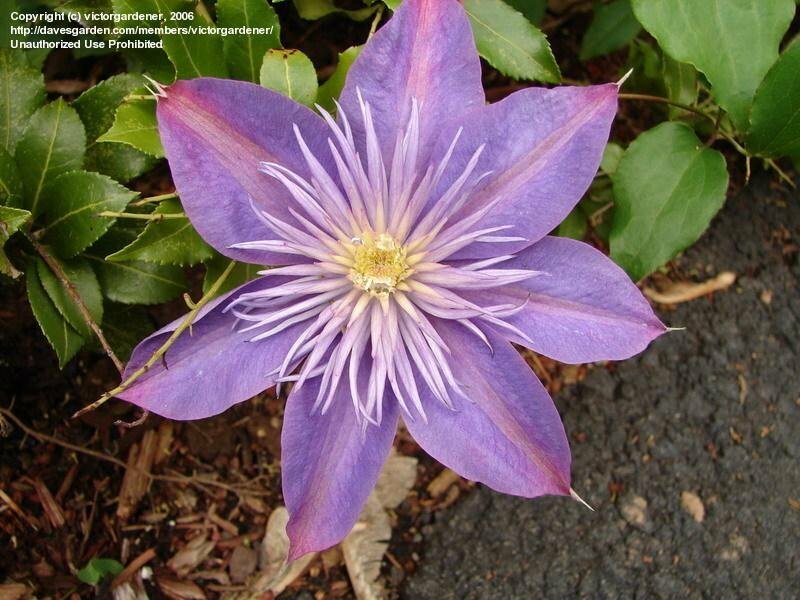 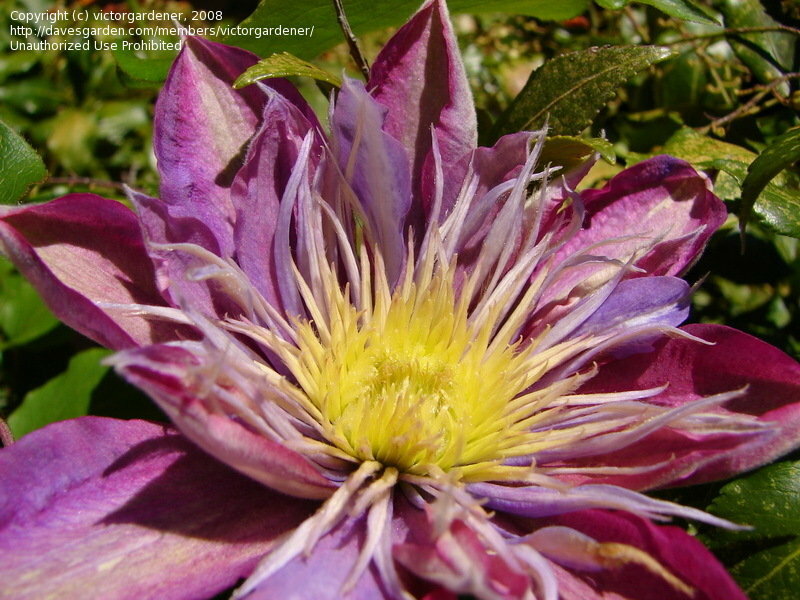 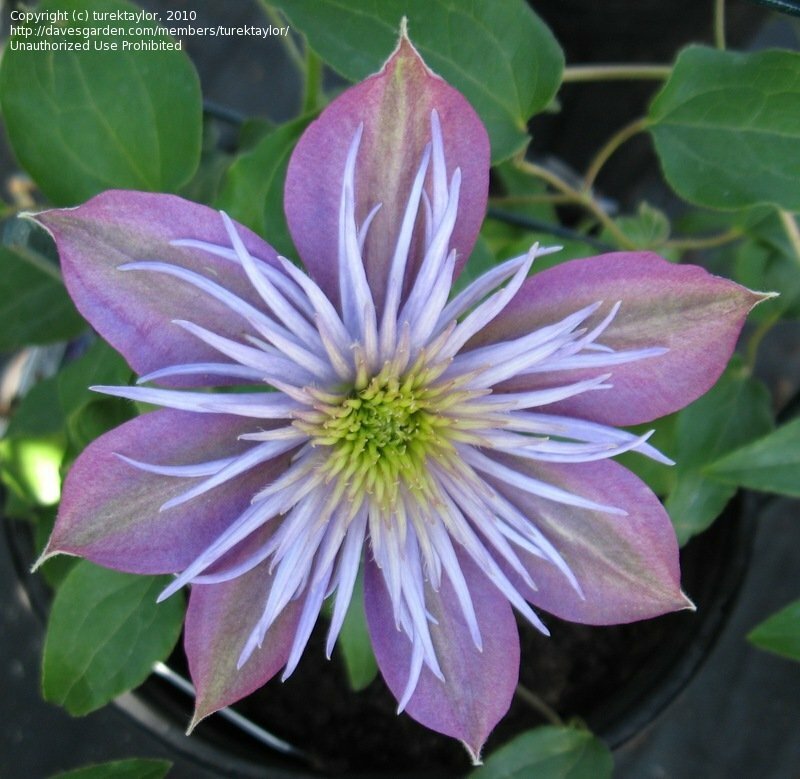 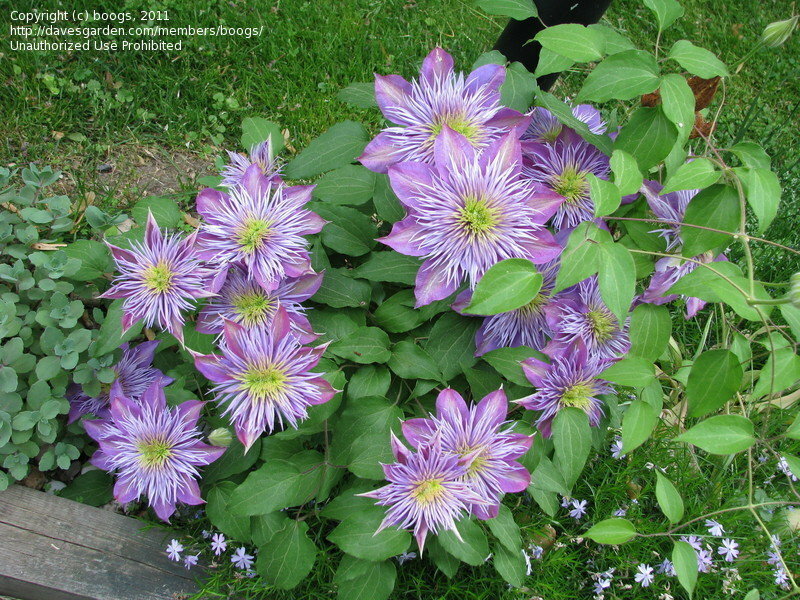 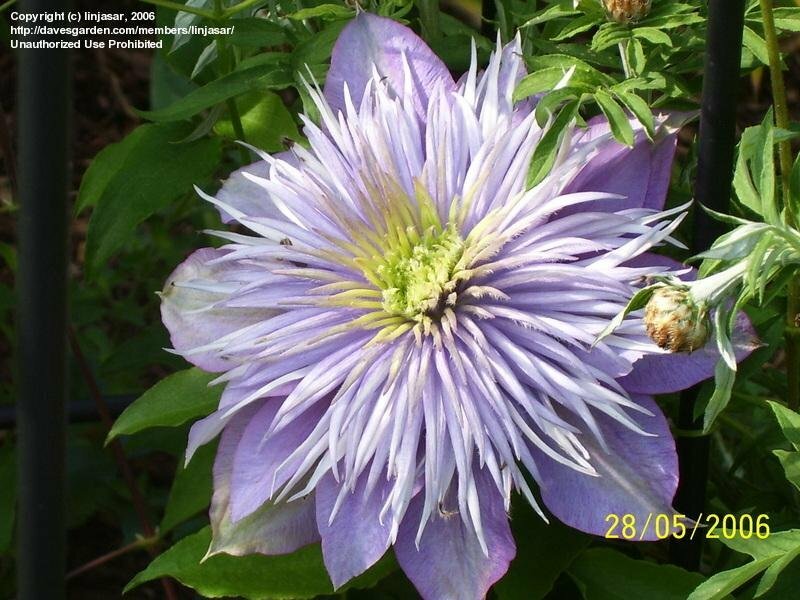 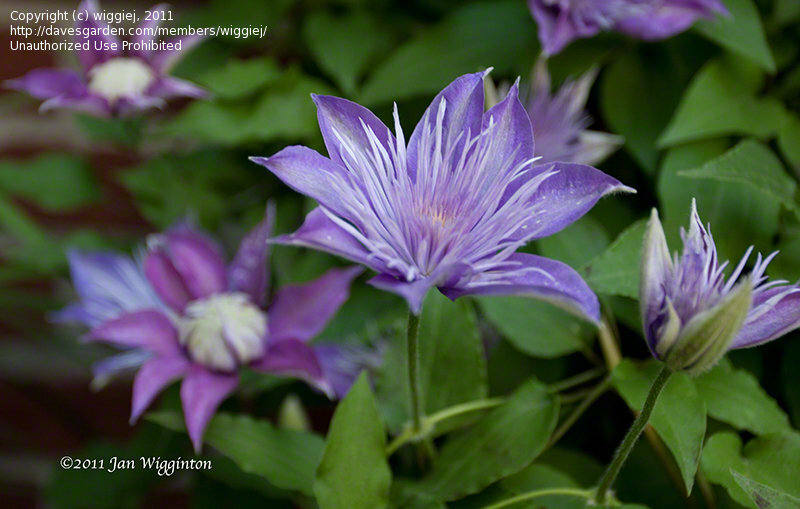 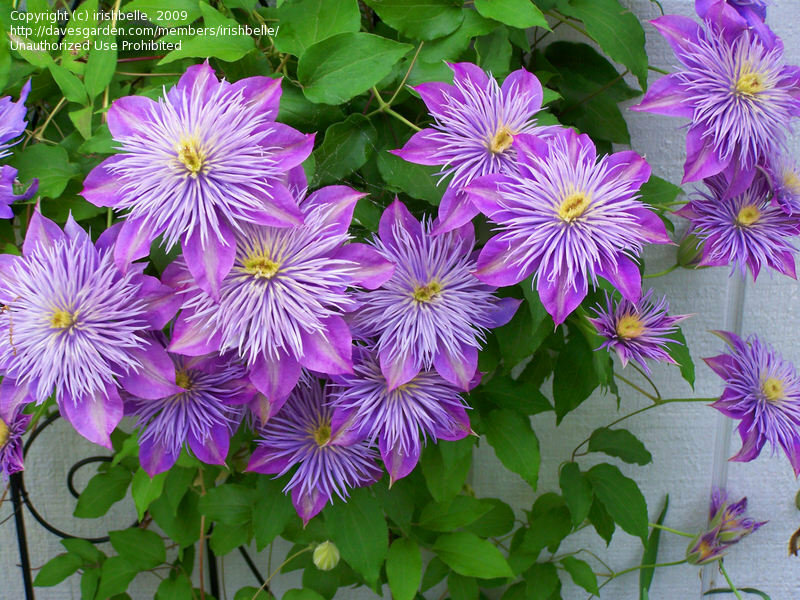 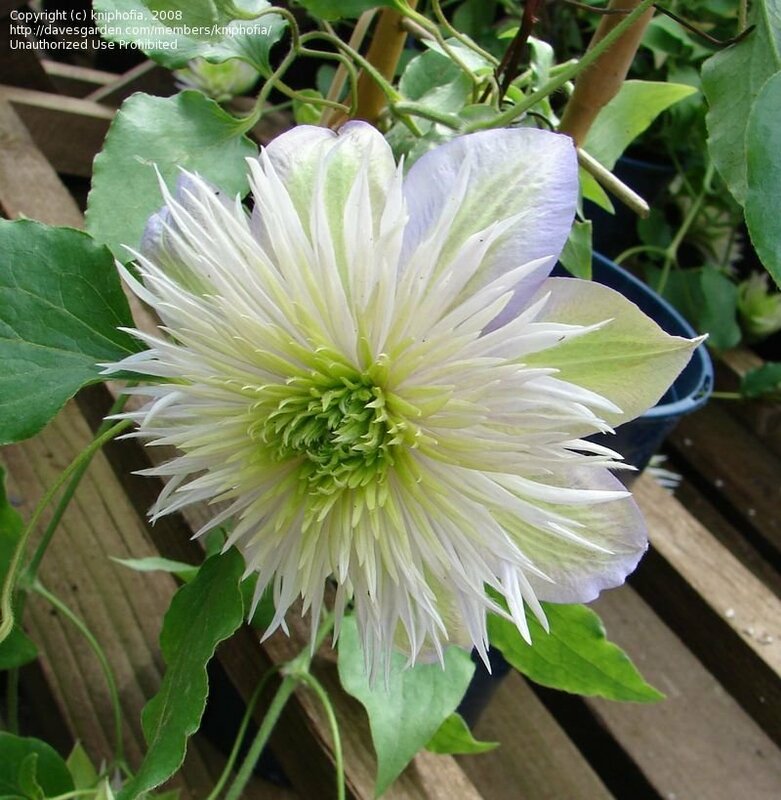 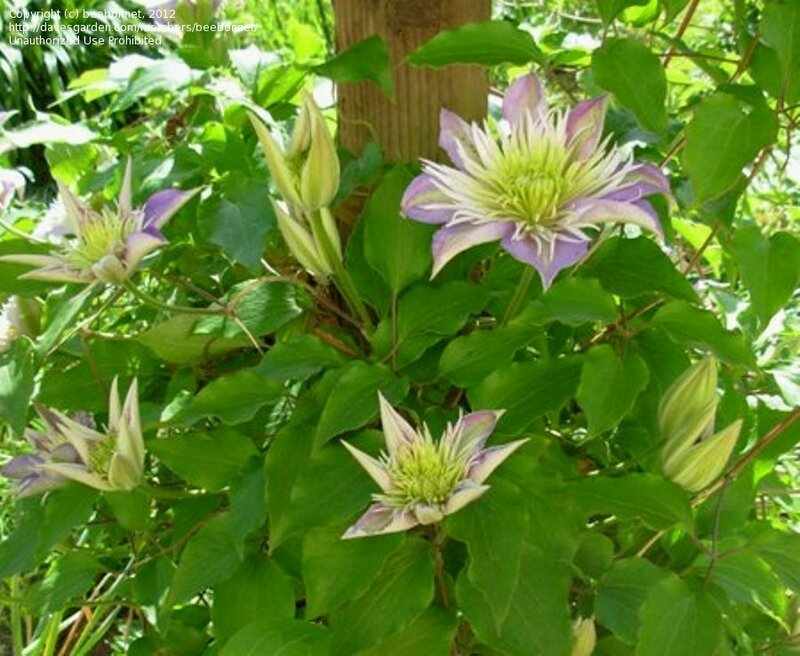 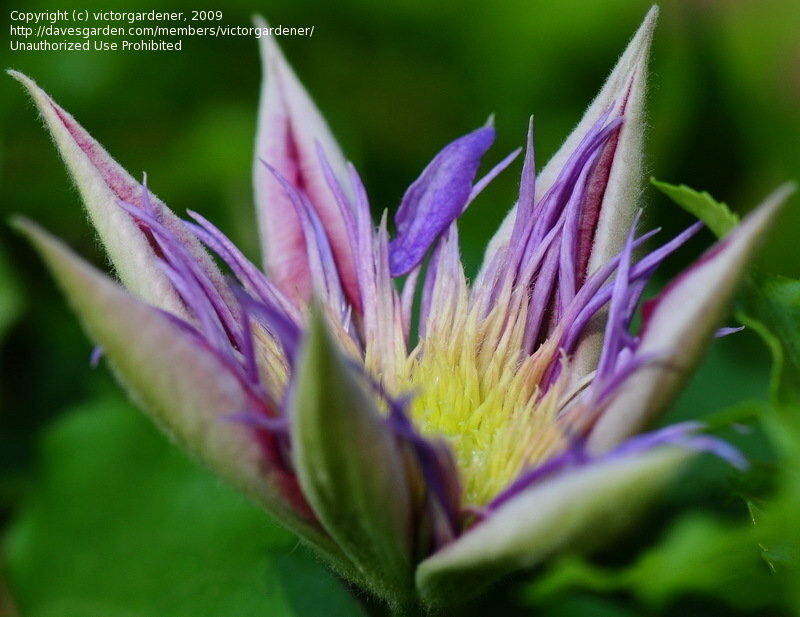 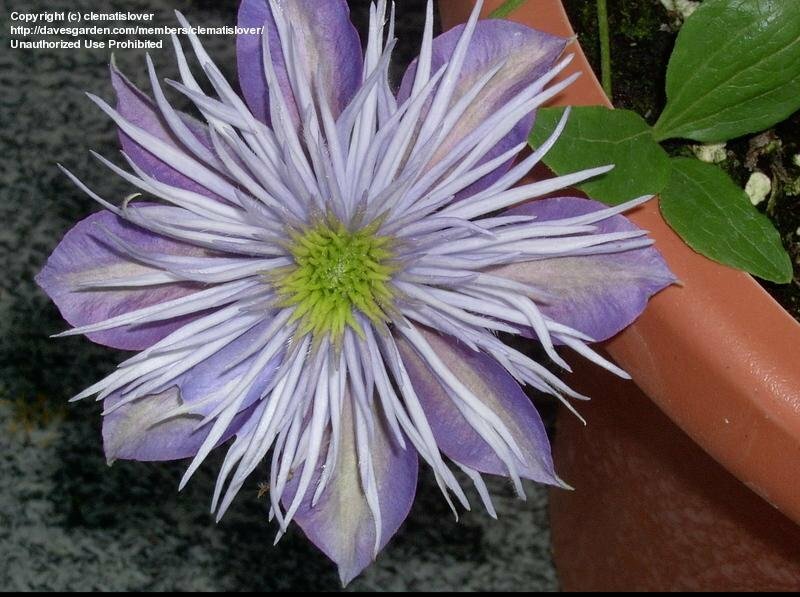 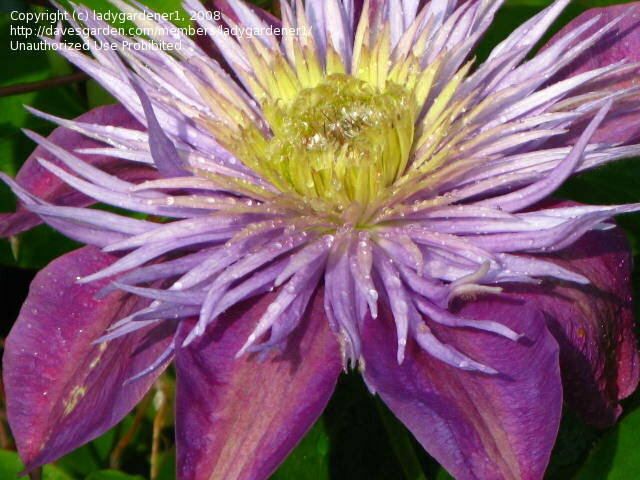 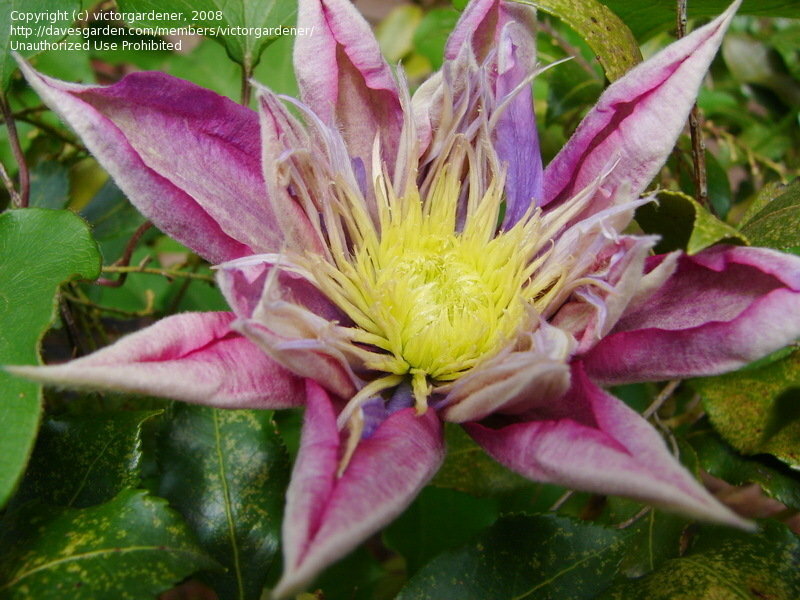 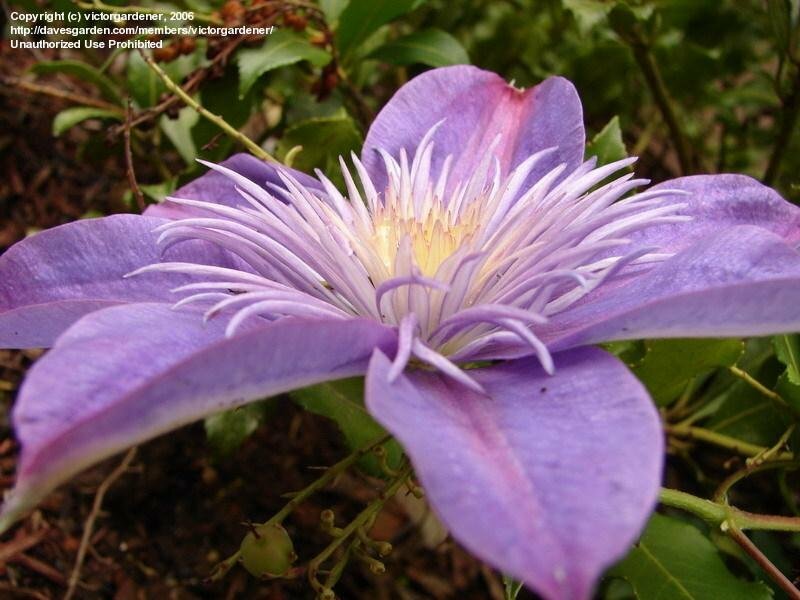 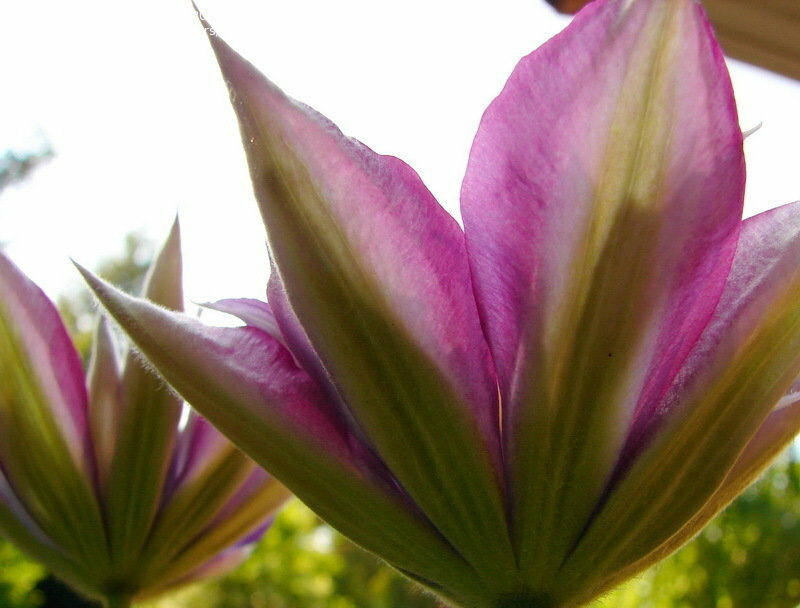 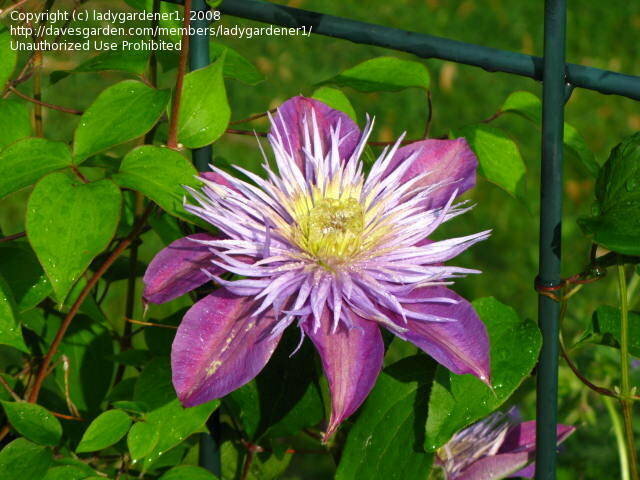 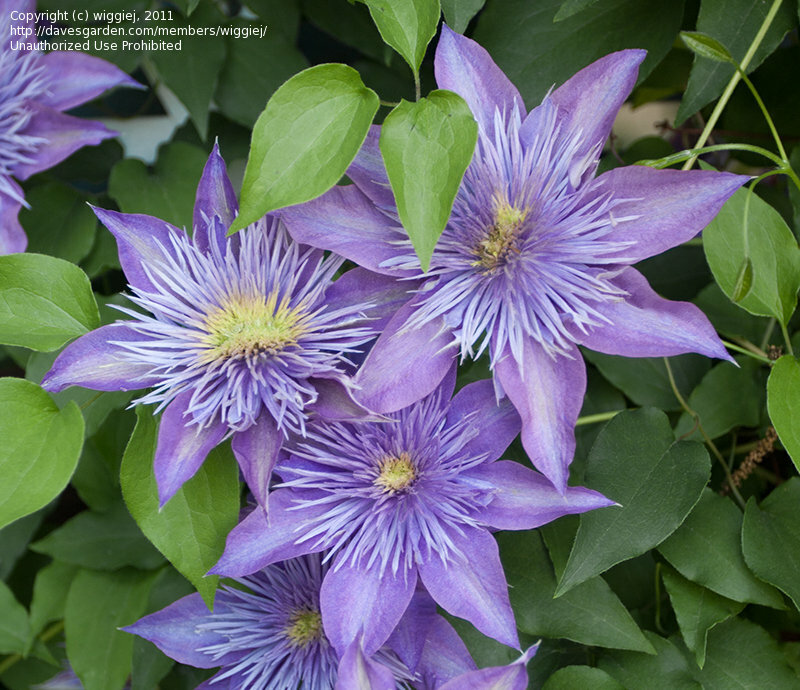 Crysal Fountain Clematis NE Ohio z5b A gorgeous and great growing cultivar! 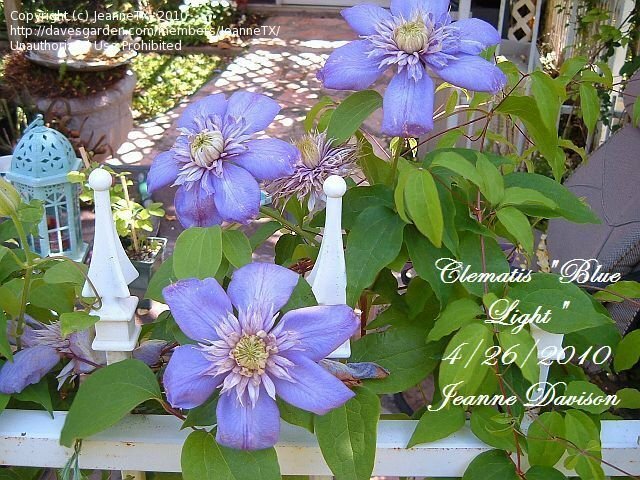 Nice blooms! 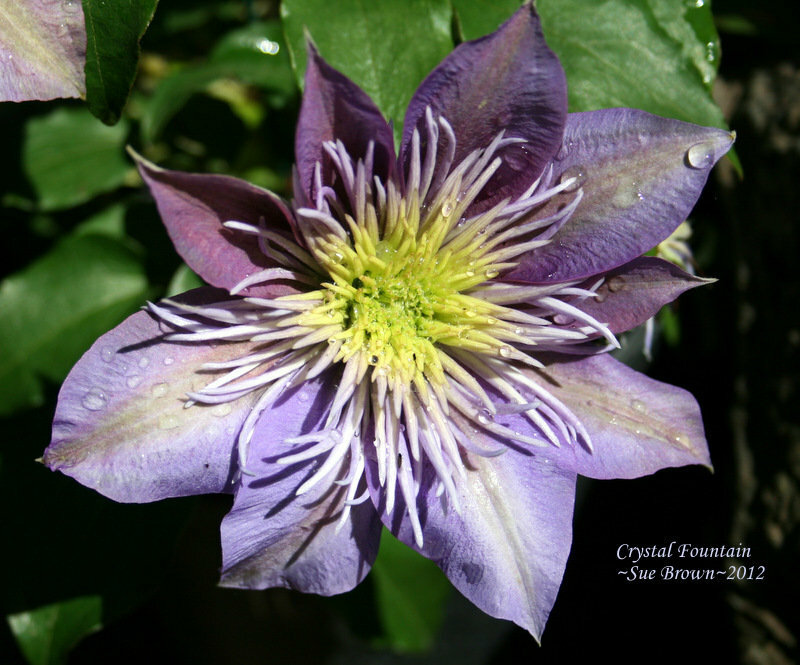 Crystal Fountain Clematis. 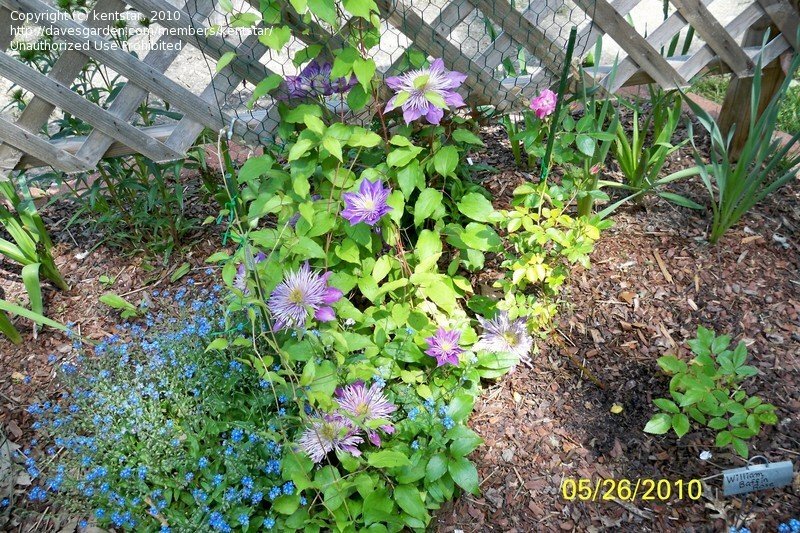 Second year, even better next year because I did hard prune before this bloom. 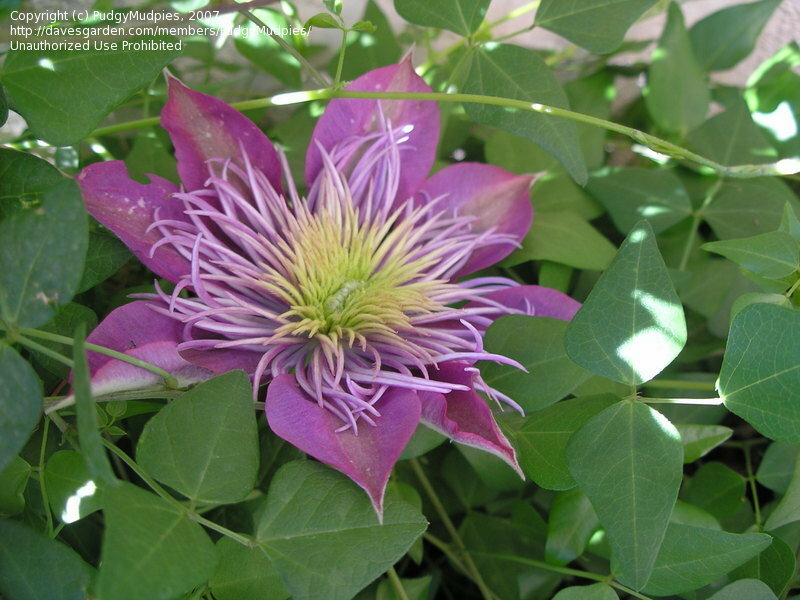 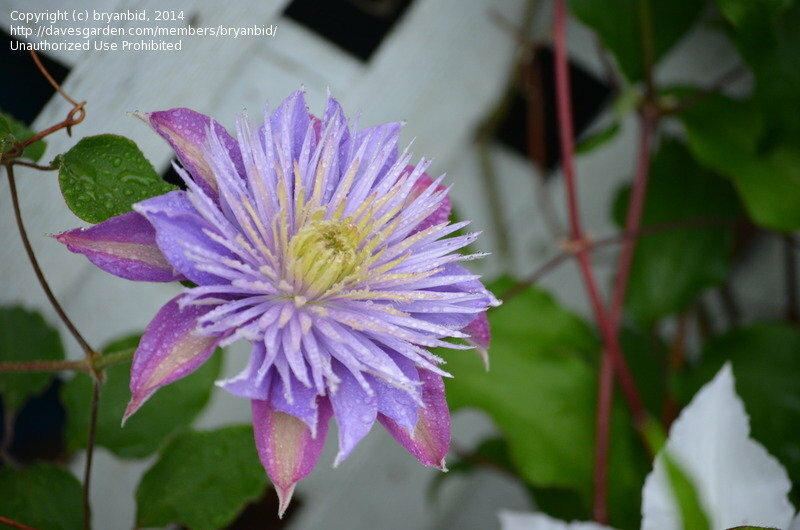 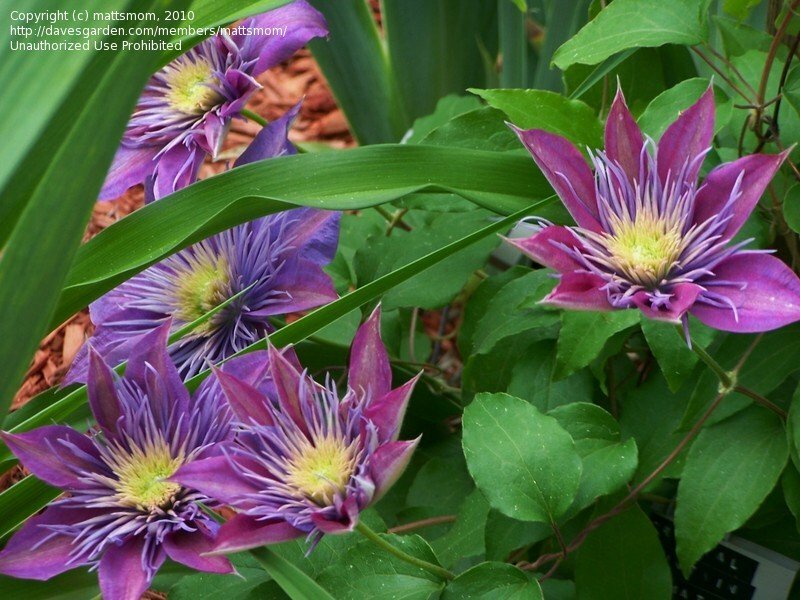 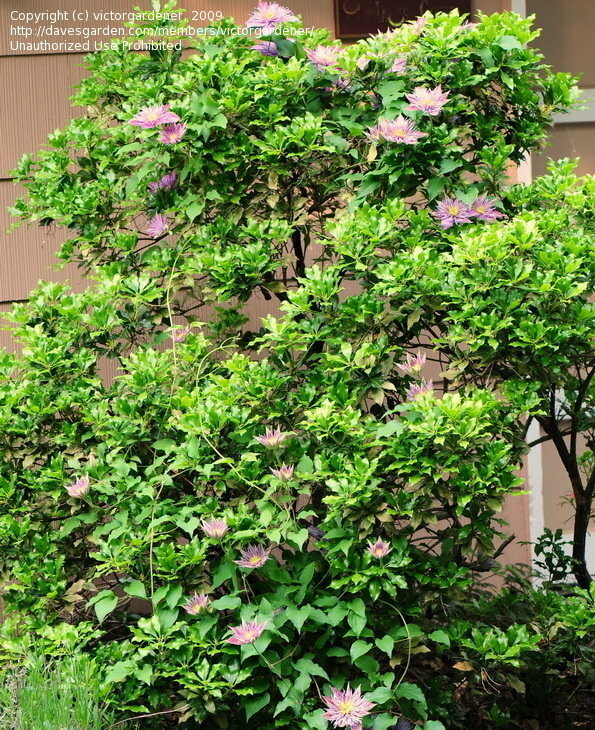 Clematis Crystal Fountain is one of my favorite early blooming clematis. 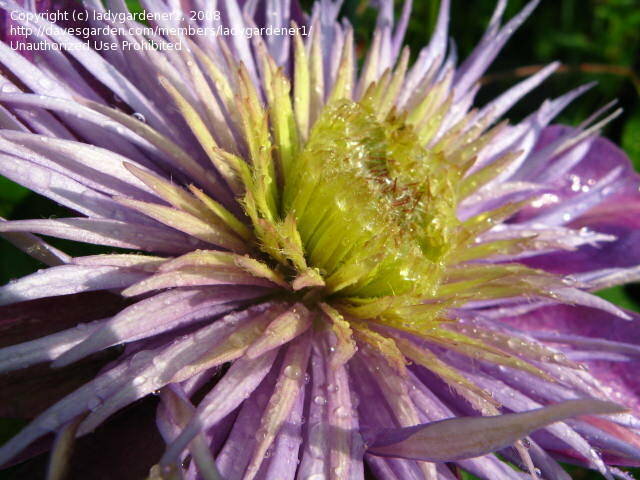 I love the multiple petals and whisker like inner petals and seed pod. 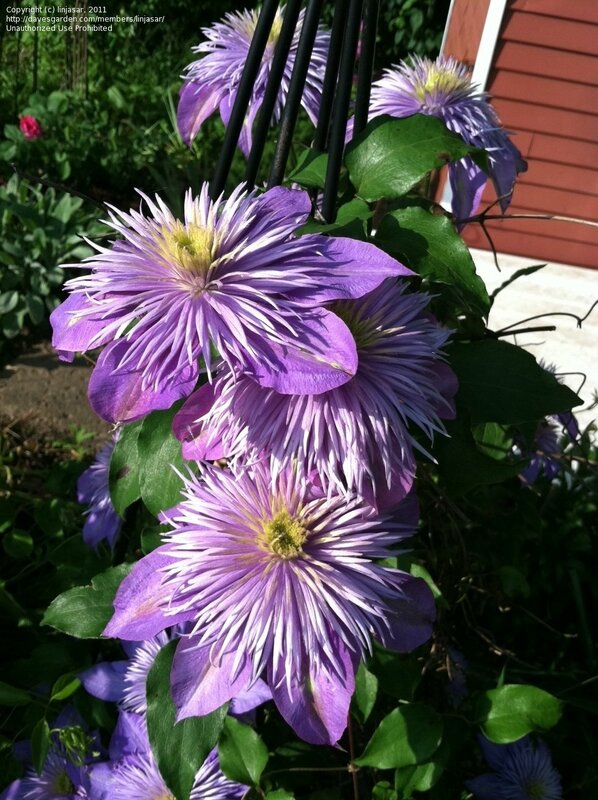 It grows great in my zone 5 garden in upstate NY. 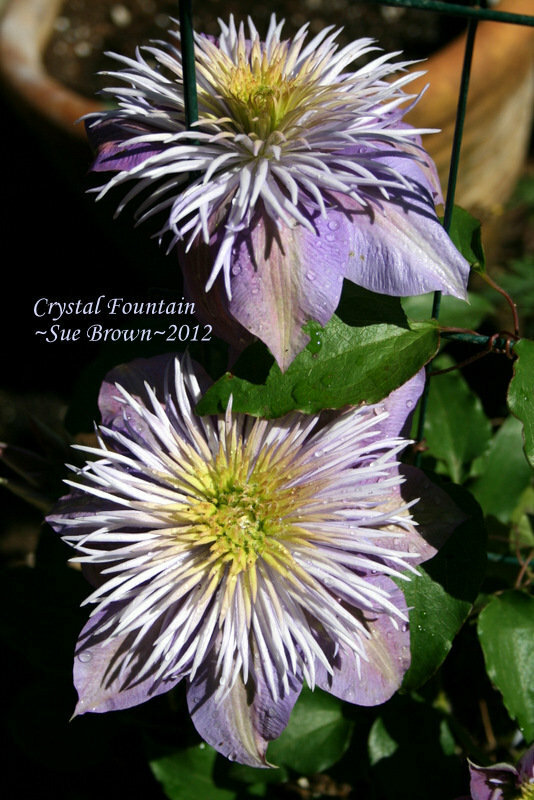 I think that the colors of 'Crystal Fountain' are easier to describe than they are to photograph. 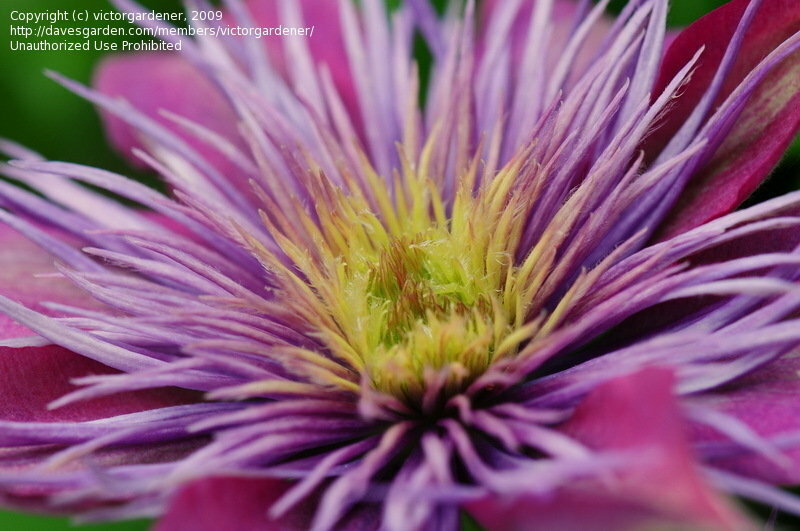 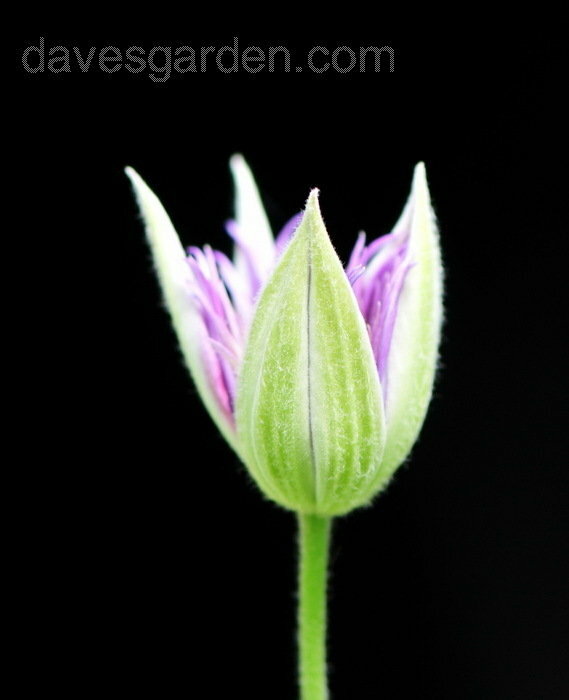 Flowers open lavendar with pink-magenta undertones and develop more blue undertones as they age. 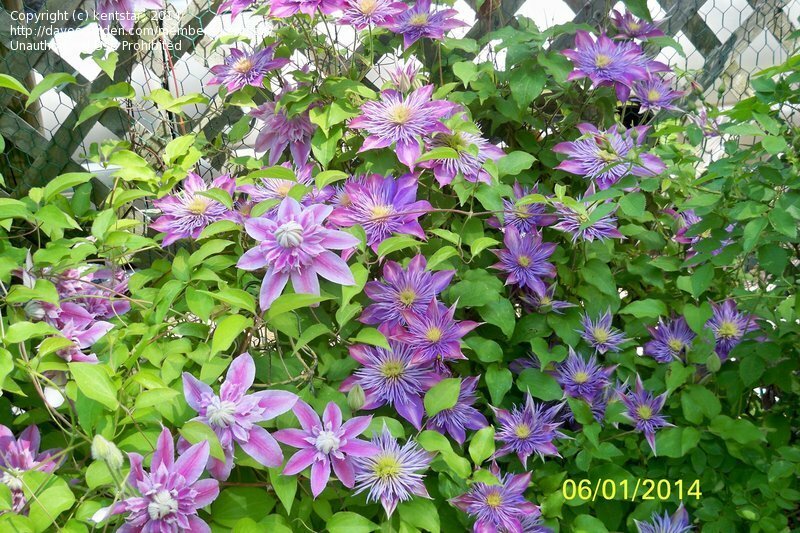 Crystal Fountain clematis in NE Ohio. 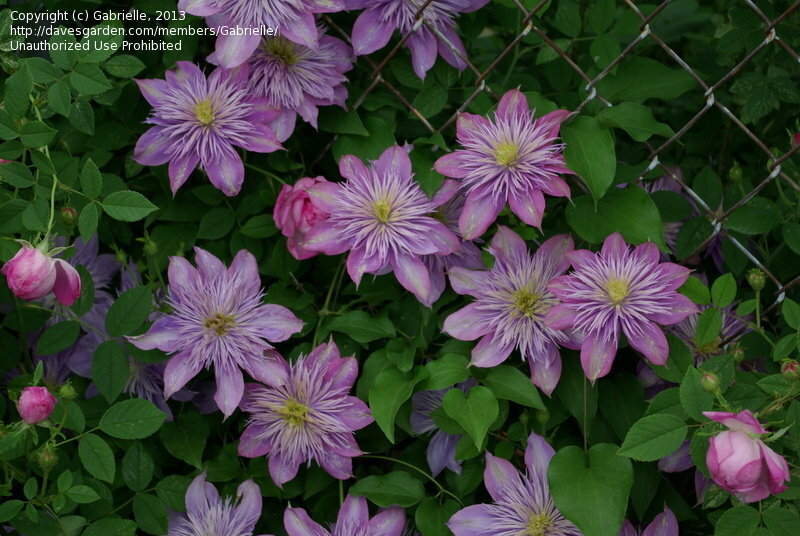 Five years old now! 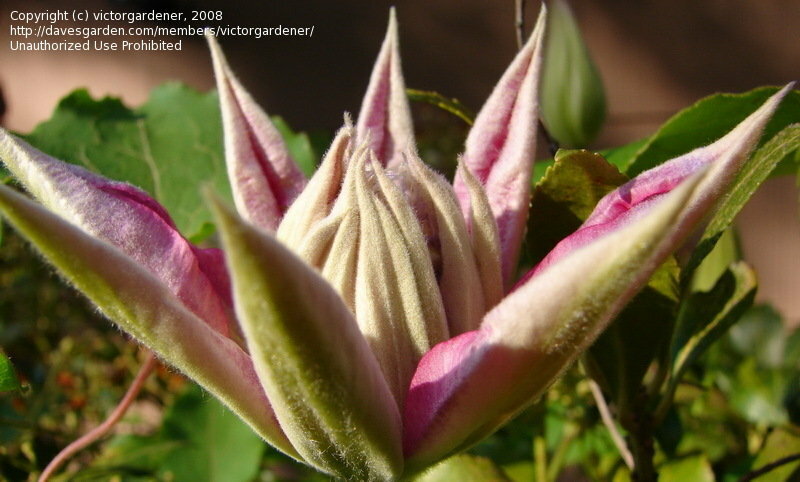 Loaded with buds! 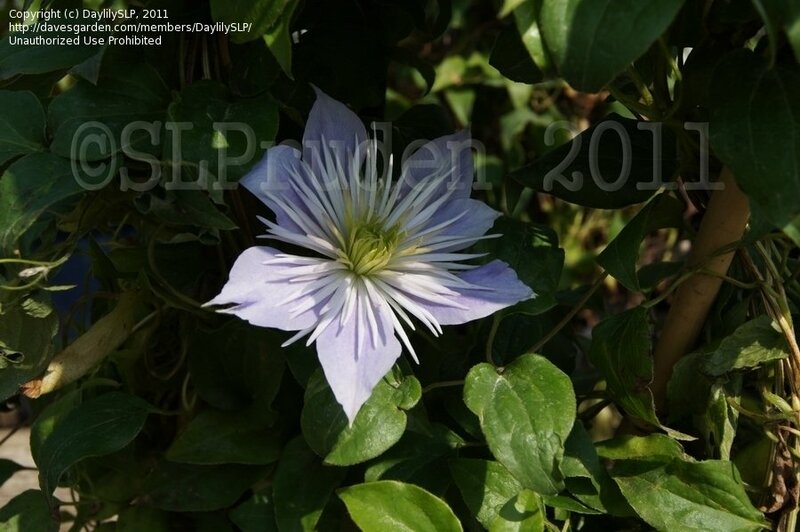 Josephine can be seen also.